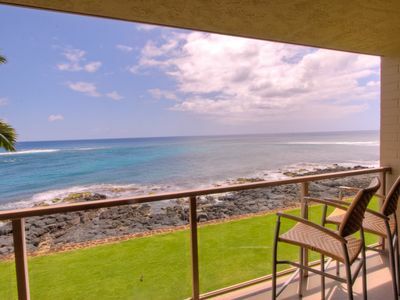 ON THE OCEAN condominium with awesome views. 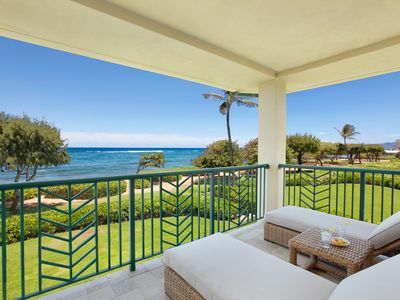 SURF - SNORKEL - SUNBATH - SIGHT SEE - or SIMPLY relax. 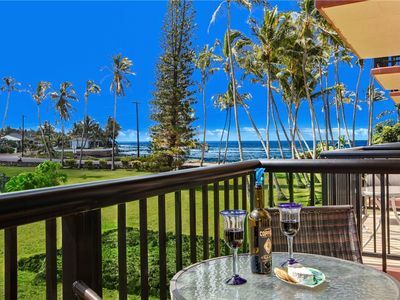 The minute you step in the door you are welcomed by the most spectacular view of the beautiful and tropical Pacific Ocean. We are directly facing the ocean! We've just installed Air Conditioning (April/2017) to help insure a comfortable stay. 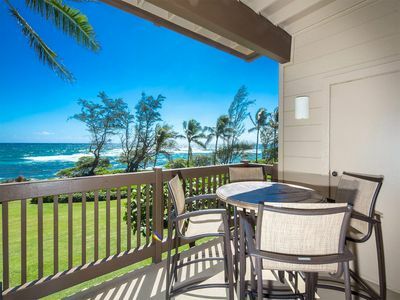 The wonderful thing about being 30 feet from the water is that you can open the windows and doors, feel the trade winds blow through the condo and hear the crashing surf. 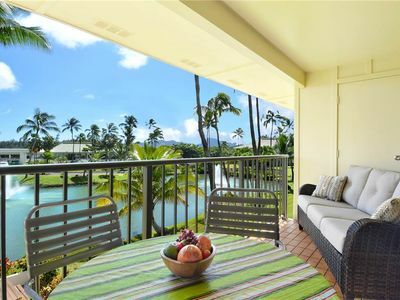 This is the Hawaii experience and thankfully our condo offers such an experience. 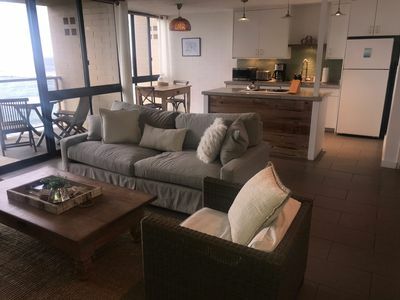 For those occasional days and nights where the winds are not blowing or it's just too hot, we now have AC to cool the condo making it an even more perfect place to vacation. 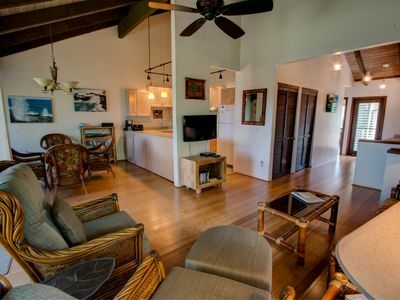 This is a recently remodeled (June 2014) two bedroom, 2 bath condo that sleeps 6. 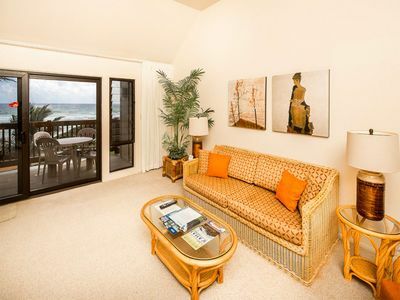 There is a King Size Bed in the master, a Queen size bed in the second bedroom and a Queen sofa bed in the living area. 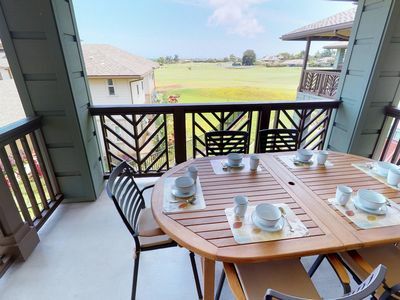 We are on the second floor (with elevator close by) which allows for a seamless connection between the condo and the ocean below. The ocean is directly in front of you. You are floating over the Waves and the blue waters of the Pacific as far as you can see. Offers great privacy as no other units can see into your space. 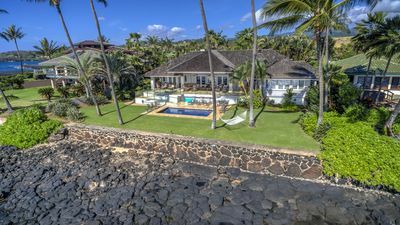 With Floor to Ceiling and Wall to Wall Windows, watch the sea, surfers and turtles from the Living room, Dining room or Lanai. Whales go by in the winter months. The Turtles feed almost every day directly in front. 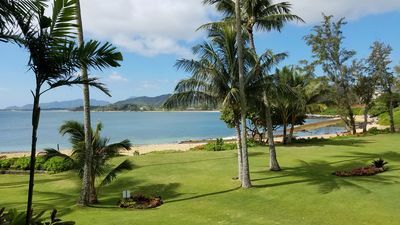 Sunbathe or enjoy one of the islands best snorkeling locations at the beach right next to the condo which offers both grass and sand. There is also a wonderful walk up the road to see the island's blow hole. Between the spectacular views and sunsets and the soothing sound of the waves, you are instantly transformed into vacation mode. 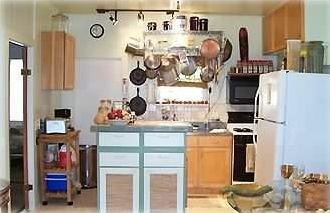 The kitchen is newly remodeled with new flooring, cabinets, granite counter tops and new appliances. 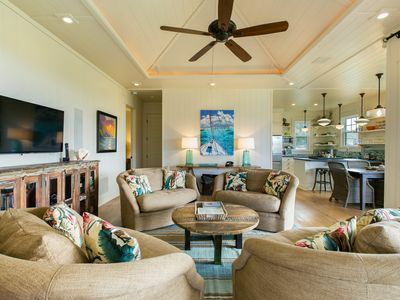 It's fully furnished with everything you need to cook in or enjoy a drink or dinner from one of the islands best restaurants and bars, The Beach House, which is located right next door. Both the en suite bath and shower and the hall second bath have been fully remodeled. The hall bath has double sinks and both have custom tile work with premium finishes. 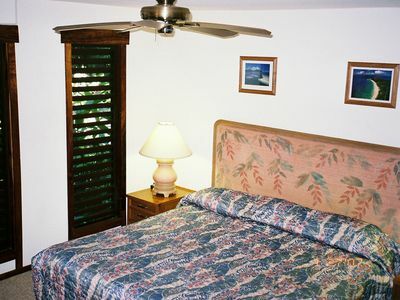 Our custom art work on the walls adds to the Hawaiian feel. You are not in a typical rental. There are also BBQ's on site for your use. 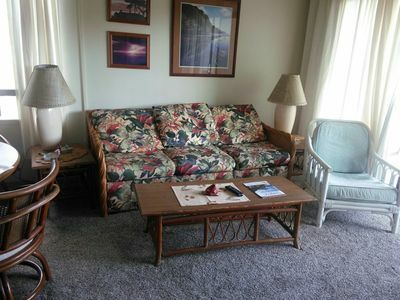 There is a new Flat Screen TV in the living area and both Cable and Wireless Internet are provided. With a smart TV, Netflix is built in and available for your use. There is a parking lot for easy access, allowing one car per unit.. 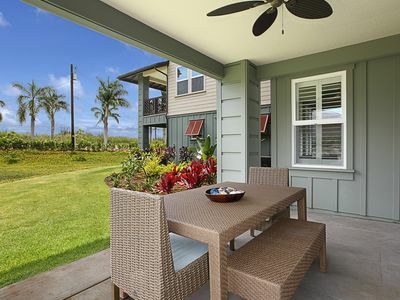 The popular tourist areas of Poipu are just a mile or so away, as well as the historic town of Koloa and the grocery store. 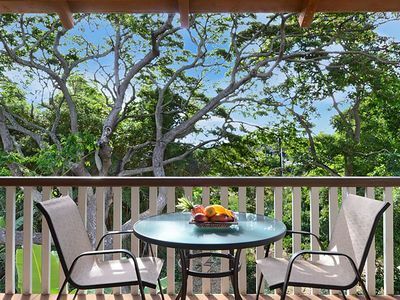 The Shops at Kukui'ula are an easy walking distance with many fine restaurants, ice cream and shopping. Welcome to our favorite place. 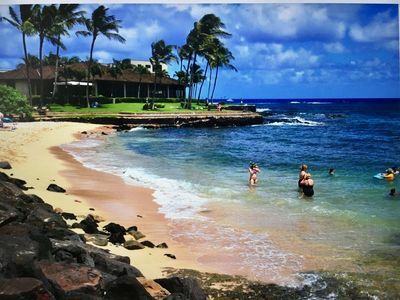 Enjoy the peace, relaxation and adventure the island of Kauai brings. Go to our personal website to see more, find the link below on the page. 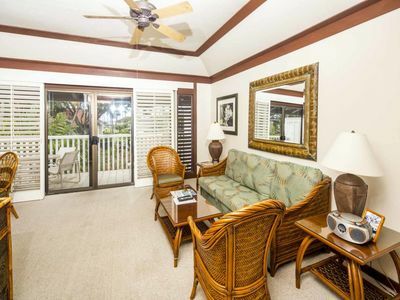 Beach Resort Condo Has Everything! 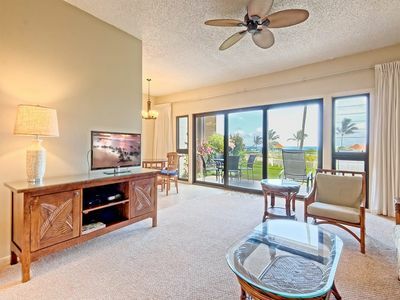 Pili Mai #01D: Central AC for a great price in the heart of Poipu Beach! 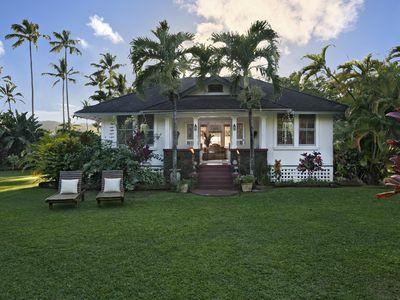 Kauai’s Best Vacation Experience "Boutique Style"